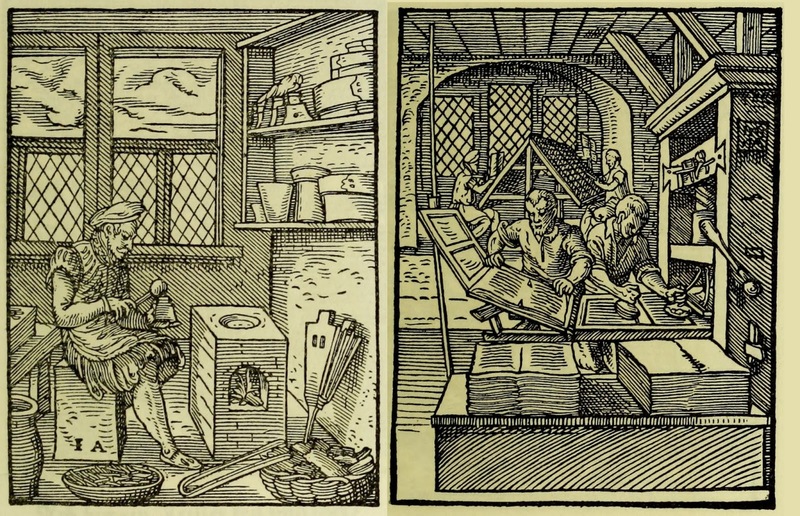 Two woodcuts from Stände und Handwerker by Jost Amman with Verses by Han Sachs - from HERE. This is an 1884 facsimile of the 1568 edition published in Frankfurt by Feyerabend. Left is an illustration of type founding and right printing.